David Thomas, Simon Fowler and Valerie Johnson. The Silence of the Archive. In the past two to three decades, the archival profession has been caught between two currents of cultural and technological change: simultaneous, largely unrelated, both apparently inexorable. Largely confined to the academy, but resonating beyond it, has been a radical scepticism about the stability of meaning in language resulting from the postmodern turn in historical thinking. Coupled with this epistemological scepticism has been a hermeneutic of suspicion of the power relations that are embedded in the creation, description and accessing of archival records. This has been bound up with the emergence of a wider politics of identity, and the assertion of the experience of marginalised groups as being equally worthy of documentation and study as those more ‘official’ voices that have traditionally dominated archives. At much the same time, the transition from paper to digital in records management and archiving has presented the profession with challenges of exceptional scale and complexity, as laid out by David Thomas, former Director of Technology at the National Archives of the UK, in Chapter Three of this fascinating book. This transformation has fundamentally changed the ways in which live records are created and managed by organisations, with the significant added risk of mis-description as frontline staff are pressed into becoming their own archivists, and also of discontinuity in working IT systems such that data is lost or rendered uninterpretable. As these records pass to the archive, new and intractable challenges of scale come into play as archivists must select content for archiving and appraise it, presenting the difficulty of finding effective ways of describing these records and designing access systems that meet the needs of users. For most working historians, much of the ferment of the discussion that these changes have prompted amongst archivists and theorists has been largely obscure; most of the literature that the authors (all three of them present or former TNA staff) synthesise here is to be found in the journals of the archival profession, into which historians rarely look. 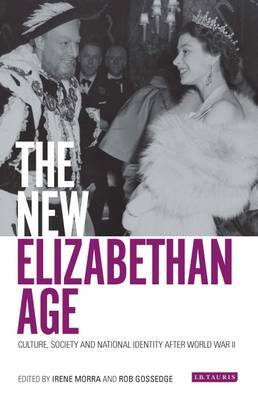 For those scholars whose only contact with archives is in the search room, this book will likely come as something of a revelation of just how far-ranging and radical some of that thought has been in the last ten years, and should be widely read for that reason alone. One might expect it also to find its way onto reading lists for introductory courses in the methods of archival research. It is therefore a matter for regret that the book, even in paperback form, is priced at a level that makes it unlikely that it will find its way into many private collections. As a whole, the book has two major themes, one of which is acknowledged by both the title and the back cover, and another, equally if not more important, which is everywhere implied but rarely stated (to which this review returns below). 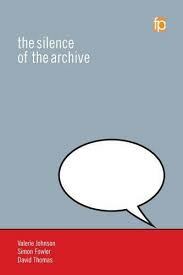 Firstly, the theme of the title: the silence of the archive. The authors, along with Anne J. Gilliland in the foreword, identify an image that has formed in the public imaginary of the archive as a comprehensive repository of all known facts about the past. Scholars will differ on how potent and pervasive that image is, but the authors set out to show firstly that archives are neither comprehensive in this sense nor purely objective, even supposing such a state were possible. 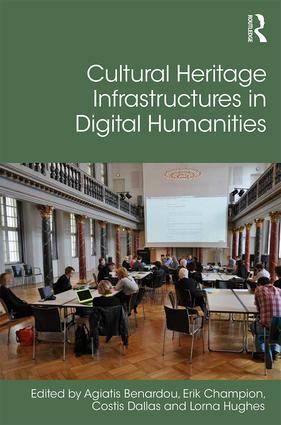 Professional historians are of course accustomed to engaging critically with the ways in which their archival sources come into being, but they will benefit nonetheless from this wide-ranging survey of the particular issues. In several places, however, a strangely critical note is struck: a suppressed frustration with the users of archives and their apparent inability to understand the issues. In Chapter Two, ‘Inappropriate Expectations’, Fowler quotes the historian Nicholas Rodger on the distaste of staff of the Public Record Office when asked to provide subject indexes: to do so ‘would imply that the Office had a duty to provide something the public wanted, instead of the public having a duty to shift for itself and leave the archivists in peace’ (54). While this whole book is a testament to how far those kinds of attitudes have been eclipsed, glimpses occasionally show through. Archivists, we are told on page 45, are familiar with being ‘bombarded’ with questions which cannot be answered, by users who ‘struggle to understand’ the issues (60). Johnson writes (after Lisa Jardine) of the ‘longing of historians and researchers to find that golden key which will unlock the secret they are investigating’, which in some cases leads to false assumptions about evidence that does not in fact exist and (at the extreme) to the sorts of conspiracy theorising, fictionalisation and fabrication that Thomas explores in Chapter Five. Whilst some researchers can and do cross this line, the experience of this reviewer, at least, is that such cases are rare, and are perhaps overstressed here. Most historians are able to control their longing. That said, archive users, for their part, have no doubt been guilty of failing to appreciate the role of the archivist as something more than a mere fetcher and carrier of files as Johnson notes (146): there is work to do perhaps on both sides of the relationship. To a certain extent, the book is let down by its title and chapter headings, since the focus on what is not possible obscures a more hopeful and arguably more important thread which appears explicitly only on page 141. Johnson asks where the responsibility for the documentation of society lies, and answers: ‘it has been the implicit argument of this book that we are all responsible, whether as creators of records or professional curators of those papers, or as users, researchers, historians and informed citizens.’ At this point, this reviewer must declare an interest, as one working to facilitate precisely this better working between archives and the users of their digital services. Nonetheless, The Silence of the Archive is throughout a call for a new relationship between archivists, the ‘archival subjects’ (those whose lives are documented) and those who use the archived record. Johnson writes of the process whereby those archival subjects are engaged in the process of creating the archive of their existence, thus becoming co-creators with the archivist (149-53). Thomas points out the acute need in a digital archive for close engagement with end users, both in the selection of material and in the design of the interfaces that make those records first discoverable and then usable (70-72). It is a shame, then, that this call for change – necessary and urgent – is somewhat muted here; indeed, in general, the authors have a tendency to quote and expound the work of others rather than elaborate an argument, and could have been bolder. However, it is a case that should be widely heard. Records managers, archivists, historians and other users of archives should read this timely and important book.